Selected from a pool of over 9,000 companies, I.V. Interactive is delighted to receive a Silver Communicator Award for the website redesign of Plastic Surgery Arts of New Jersey, a leading plastic surgery center in New Jersey and throughout the New York Tri-State area. The Communicator Awards distinguish excellence in all areas of communication, rewarding "quality and achievement" for outstanding campaigns. Recipients of the awards are hand-selected by a prestigious group of media professionals, including top executives from HBO, Wired, Yahoo and Disney. I.V. Interactive is honored to receive an award in the field of health care communication for the website redesign of Plastic Surgery Arts of New Jersey (PSANJ). The decision to have aesthetic plastic surgery is extremely personal, and the new website allows patients to request a consultation and explore procedures such as face-lifts, tummy tucks or body contouring from the privacy of their own homes. From browsing biographies on the board-certified plastic surgeons* to the before-and-after photo gallery, PSANJ's redesigned website reaches patients on a more personal and engaging level. "The health care industry is a complex marketplace, which can make effective communication challenging. But with the right strategy and implementation, a successful website redesign can encourage a more intimate and refined relationship with your current and prospective patients. I'm very proud of what I.V. Interactive and PSANJ have accomplished together," said Dov Radzik, president and CEO of I.V. Interactive. 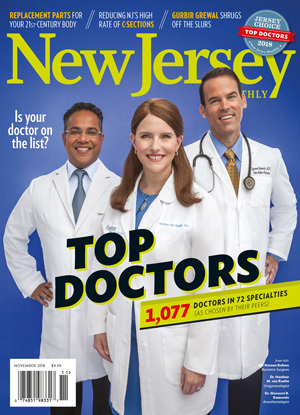 With New Jersey offices in both Princeton and New Brunswick, PSANJ has seen a significant increase in new patients to its plastic surgery centers. The overall efforts of the website redesign - a combination of user experience and online visibility - have increased new patient leads, despite a struggling economy. "We are so pleased with the influx of new patients. The redesign of our website and improved search engine rankings have created a refreshing effect on our business. I don't think one effort would have been successful without the other," said Dr. Kevin Nini of PSANJ. Medical practices throughout the United States come to I.V. Interactive seeking innovative design, interactive marketing, technology implementation and strategic consulting. I.V. Interactive is growing rapidly from customer referrals in the health care industry. Headquartered in historic downtown Jersey City, N.J., just across the river from New York's famed financial district, I.V. Interactive has helped medical practices and other health care-related businesses nationwide with award-winning web development and marketing for over 10 years. From search and social media marketing to site design and database-driven applications, I.V. Interactive helps clients identify and implement the precise combination of interactive elements required to meet their objectives. I.V. Interactive: Which elements are you missing? For more information, please visit ivinteractive.com. With over 35 years combined practice experience, the extraordinary plastic surgeons of PSANJ are renowned for providing a caring, individualized and successful cosmetic surgery experience. Kevin T. Nini, M.D. ; Philip D. Wey, M.D. ; and Robert M. Olson, M.D., are nationally recognized for exceptional results in a variety of procedures, including breast enhancement, liposuction, tummy tucks, face-lifts, nose jobs, lip injections, male plastic surgery, microdermabrasion, BOTOX®, Juvederm®, and many other surgical and nonsurgical options. With locations in New Brunswick and Princeton, N.J., PSANJ is easily accessible from surrounding areas. Whether you live in Edison or East Brunswick or in neighboring communities in New York, Pennsylvania, Connecticut or Staten Island, imagine yourself at PSANJ. For more information about PSANJ, please visit plasticsurgeryartsofnewjersey.com. *Dr. Kevin Nini & Dr. Philip Wey are board certified by the American Board of Plastic Surgery. PSANJ is pleased to welcome patients to our blog! Our blog is just one of the many ways PSANJ communicates with those interested in the cosmetic surgery or non-surgical procedures we offer. We hope you'll check in often to read the latest news and developments, and to take advantage of our special discounts and offers for patients.